Trudi S. Riley-Quinn is an Elder Law Attorney. Her Placer County practice focuses on estate planning (living trusts, special needs trusts, durable powers of attorney for property, advance health care directives, etc. ), probate, elder law, senior issues, asset preservation, long-term care, Veteran Benefits, and Medi-Cal benefits eligibility. She traveled to Japan with a small delegation of social service providers, part of a comparative analysis of the two countries and cultures, sharing and studying elder care, elder law and social service practices. She serves on several multi-disciplinary county committees and community boards. 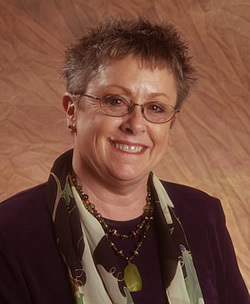 She currently serves as President on the Board of Directors of Placer ARC, representing the interests & needs of adults with intellectual and developmental disabilities; has served on the boards of directors of Seniors First, a nonprofit senior resource and service provider in Placer County; and Del Oro Care Giver Resource Center. Having been appointed by the Placer County Board of Supervisors, she served for six years on the Older Adult Advisory Commission, (“OAAC”), for which she chaired 3 years. Other memberships, affiliations and leadership positions, present and past, include membership in Assistance League of Greater Placer; former Chair of the Ambassador Club for the Roseville Chamber of Commerce; the Alzheimer’s Association (“AA”); California Advocates for Nursing Home Reform; the California State and Placer County Bar Associations. She is a staunch advocate for the empowerment of seniors and disabled adults through independence and offers legal, social and lifecare counseling for clients, families and caregivers alike. She is a regular guest speaker before community/civic groups in respect to the senior and disability population and the various issues facing these groups, e.g., long term care, vulnerability, isolation and abuses. She has been a guest panelist and speaker on several County senior service programs and TV Senior Information Television programs covering senior issues.